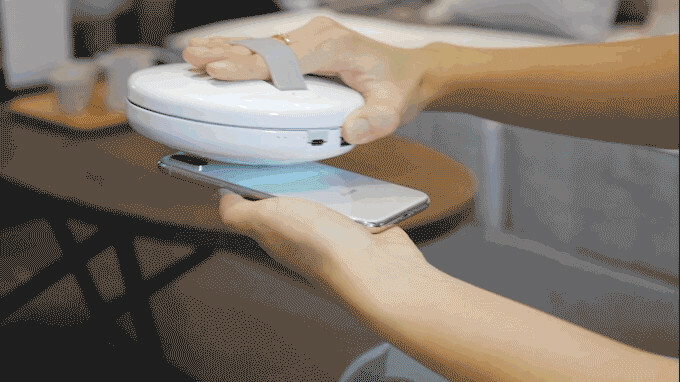 Patent-pending Smart Robot is Pocket-sized and ready for travel. Meet your new best travel buddy! This is due to the exposure to more bacteria and germs than normal in your daily life. We don't want you to suffer - we want you to enjoy your travels! That is why CleanseBot can sanitize and disinfect all hotel surfaces AND UV-C light helps prevent the spread of airborne viruses. In fact, the CleanseBot was tested by an independent third party showing how it killed 99.99% of E.coli! The areas with the most germs and bacteria include light switches and television remotes in addition to the bedspread. In one study out of the University of Houston, researchers tested 19 surfaces in hotel rooms for bacteria and found that main room light switches had an average of 112.7 colony-forming units of bacteria per cubic centimeter. MSNBC reports in a study of hospital cleanliness that a top limit of only FIVE colony-forming bacteria per cubic centimeter is recommended for maximum cleanliness. Even discounting the need for hospital-like cleanliness - these numbers are staggering. CleanseBot is the world's ONLY smart travel robot designed with YOU in mind. CleanseBot is a smart robot with artificial intelligence and 18 sensors built in. It uses FOUR UV-C lamps to blast away 99.99% of germs and bacteria on ANY SURFACE. 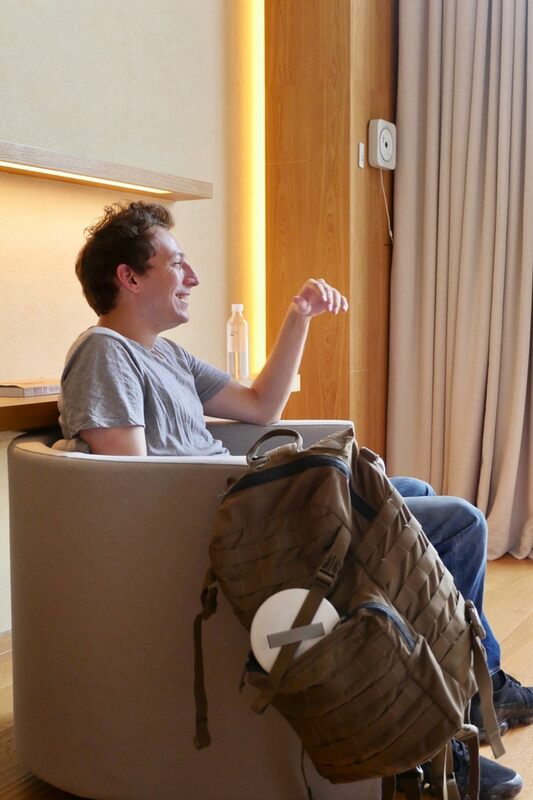 But most importantly, on your hotel bed. Hotels are notorious for germs and bacteria and you don't want to worry about that when you're traveling - whether you are traveling for work or for fun! Just set the CleanseBot down on the bed, turn it on for either 30 or 60 minutes, and go about your day while it sanitizes and disinfects your bed sheets and blankets! Not only does CleanseBot kill germs, bacteria, and dust mites, but UV-C light has been proven in many studies to actually help prevent the spread of airborne viruses, too. CleanseBot is the ONLY thing like this in the world! Your bed is your sanctuary. When you rest, you want the best quality sleep and to not worry about germs, mold, bacteria, or dust mites. 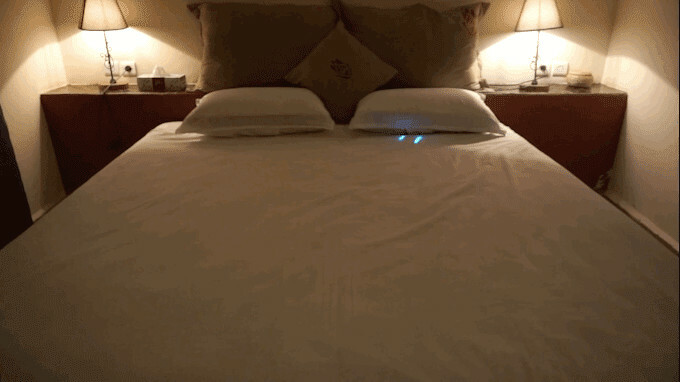 The CleanseBot will never get stuck in the bed or fall off of a bed. The CleanseBot has 18 smart AI sensors to keep the robot going. CleanseBot is the world’s first robot which focuses on sensors specifically for materials and fabrics and not simply hardwood or flat surfaces. 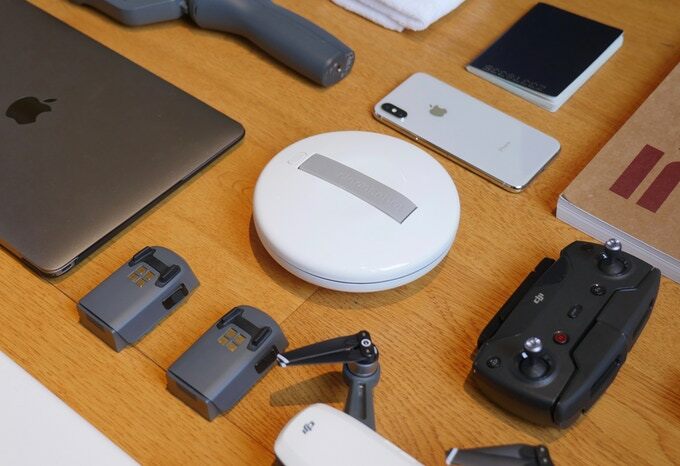 The CleanseBot Team has tested the CleanseBot on more than 40 different types of materials and fabrics for sheets and blankets, as well as testing different sizes and shapes of beds, in order to gather and analyze all data and create the best AI and sensors. The CleanseBot wheels are patent-pending technology which can run over any surface. No other technology like this exists. Remove the handle cover and simply place the CleanseBot underneath the blanket on any bed and press the power button once for a 30-minute run and twice for 60 minutes. The CleanseBot will use its four UV-C lights to clean in both directions at the same time! 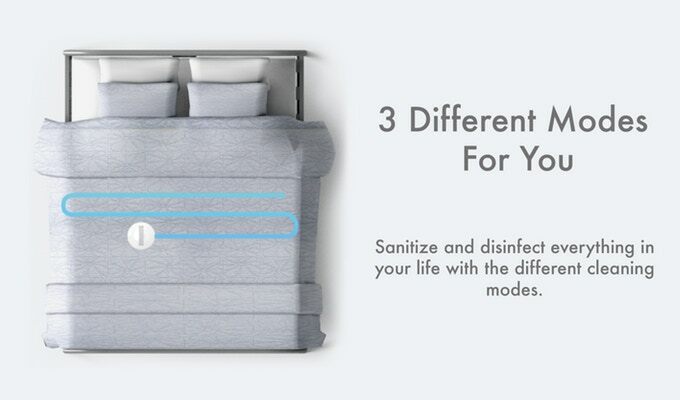 Sanitize and disinfect your sheets and blankets simultaneously. 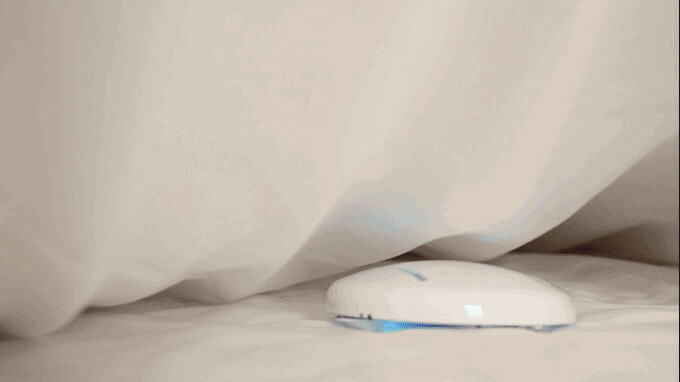 The CleanseBot has 18 sensors and smart mapping technology, so it will never fall off the bed or get stuck. For the top of the blanket, put the CleanseBot on top of the comforter and turn it on to let it continue sanitizing. 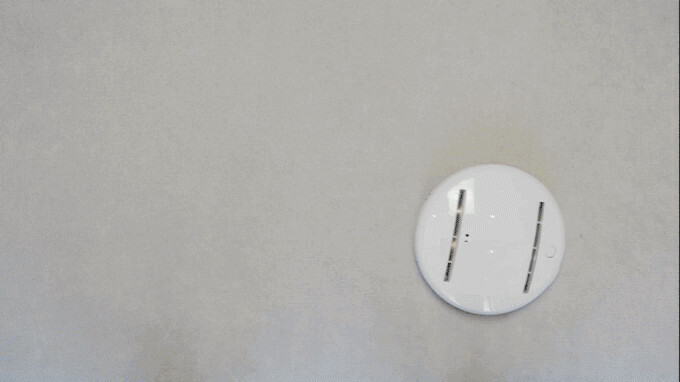 It will automatically sense there is nothing above it and only use the lights facing downward. With patented wheel technology, the CleanseBot can climb over any lumps and bumps in blankets and mattresses! 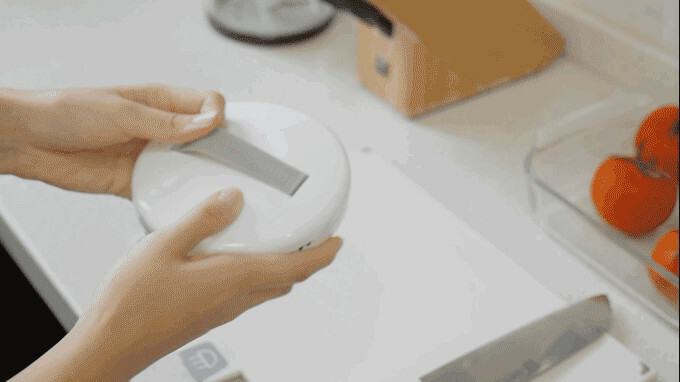 To sanitize and disinfect any surface, place the handle cover on the CleanseBot and pick it up to clean with ease! It will only use the bottom UV-C lights so your eyes will be protected, and with no mess and no chemicals, it is safe to use around pets and children! Sanitize hotel pillowcases, toilet seats, light switches, bathroom fixtures, TV remotes, and more in Handheld Mode. In your home, you can use CleanseBot to sanitize toys for your children and pets, disinfect messy areas, and sanitize devices like cell phones, keyboards, tablets, and the interior of cars. For Power Bank Mode, use the USB-C port to power any device. We have partnered with the Panasonic battery factory to bring you exclusive access to some of the world’s most advanced battery technology. We have integrated Li-ion cells and power management systems into the CleanseBot hardware to give you a handy portable chargerwith a 3700 mAh battery to charge all of your devices at lightning speed while you’re on the go. 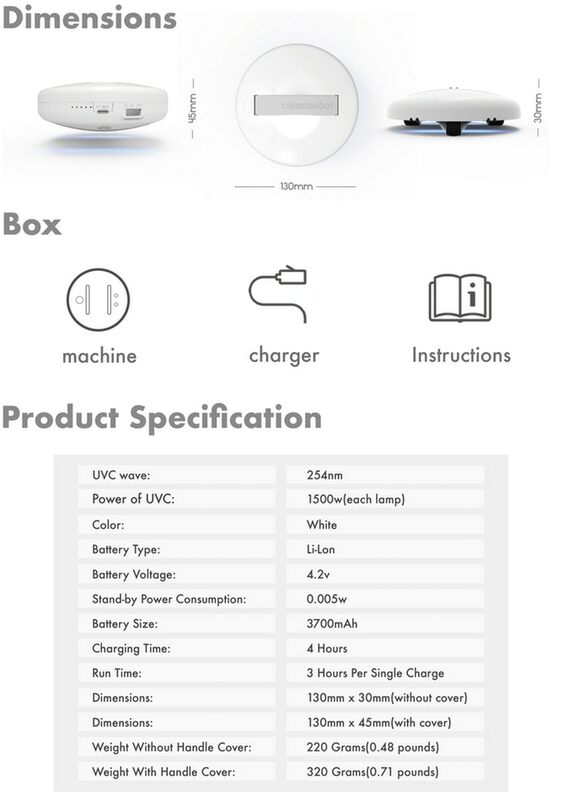 Panasonic is the world's leader in portable power, and by integrating their leading Li-ion cells and power management systems into Cleansebot's hardware, playtime extends to almost TWICE that of a standard battery. The CleanseBot fits easily into all backpacks and every suitcase! It’s only slightly bigger than a cell phone and almost as smart! 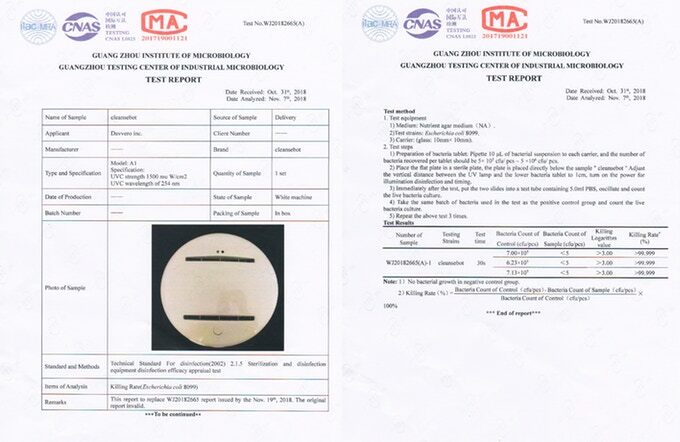 We have tested the CleanseBot with an independent third-party testing center, the Guang Zhou Institute of Microbiology and the Guangzhou Testing Center of Industrial Microbiology. The test run is called the Sterilization and Disinfection Equipment Disinfection Efficacy Appraisal Test and analyzed the efficacy of the CleanseBot on E. coli 8099. The tests were run using the CleanseBot and recorded at UV-C strength of 1500 mu w/cm2 and UV-C wavelength of 254 nm. The test results show that with only 30 seconds of exposure of UV-C light on the E. coli bacteria, the killing rate was greater than 99.99%. This proves how effective the CleanseBot is! Convenience - It is light and easy to use, and you can just turn it on and go! Pocket Sized - Convenient travel size, lightweight and easy to pack! 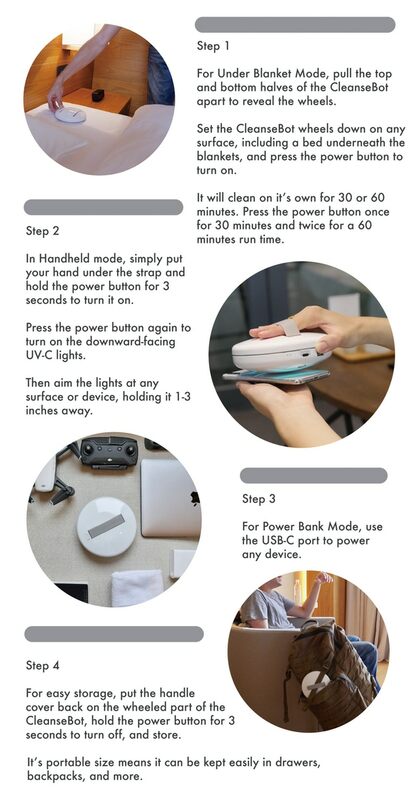 Extra Power Bank - Need quick charging on the go? 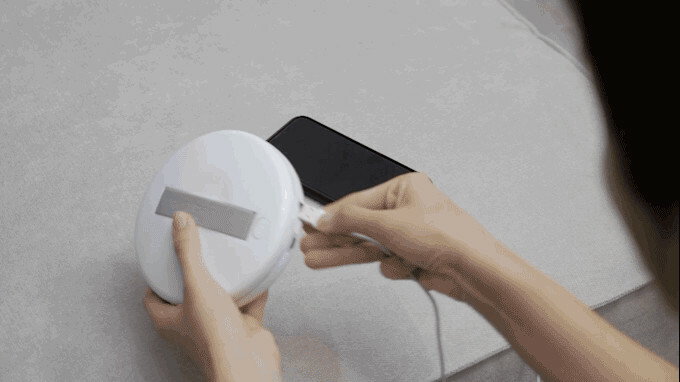 It is also a portable charger! Healthy Life - Don't get sick when traveling! Press and GO - For clean, safe beds just press power and leave it alone! 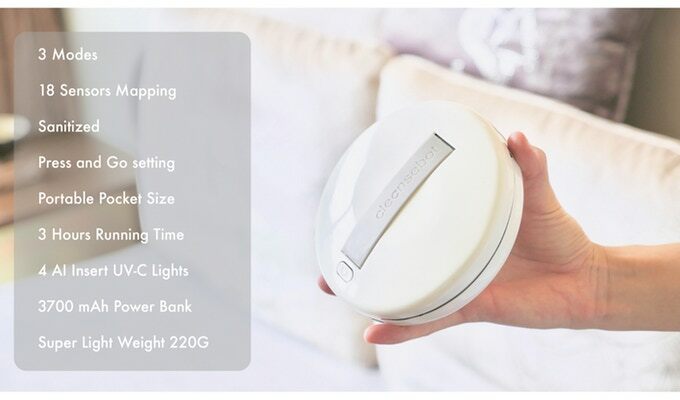 Stay Healthy - CleanseBot kills 99.99% of germs and bacteria and helps prevent the spread of airborne viruses! Toss CleanseBot into your suitcase or carry on and never have to worry about icky hotel germs ever again! There are currently NO OTHER PRODUCTS LIKE CLEANSEBOT ON THE MARKET. We have no direct competitors! When you support CleanseBot, you are supporting the future of cleanliness and health while traveling anywhere in the world. 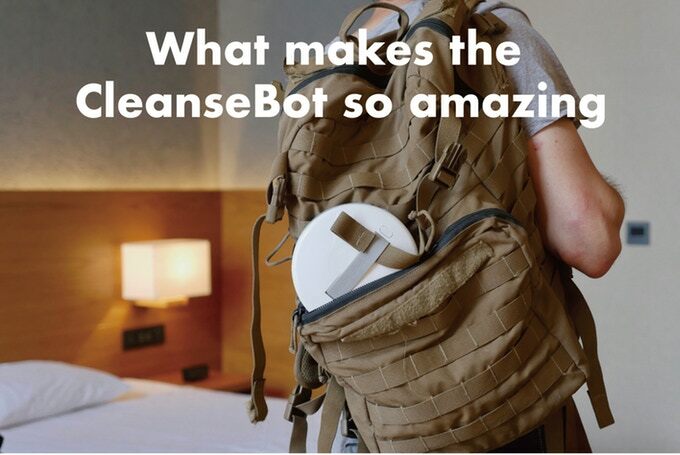 CleanseBot is truly the world’s ONLY travel-friendly compact smart robot using UV-C light to sanitize and disinfect every part of your hotel room, from beds to glasses to toilet seats. The closest competitors to CleanseBot right now are large hospital-grade sanitizing robots used in operating rooms, which are still few and far between, and at-home UV-C lamps, which are not portable or for every surface.